Every woman would like to have a refreshing and rejuvenating morning after comfortable sleep. Comfortable bed and warm blanket are two important things to get peaceful sleep. However, for a woman wearing a cosy sleepwear is also important. Fabric and fitting of the sleepwear is essential. Apart from these, the price of the sleepwear also matters a lot. 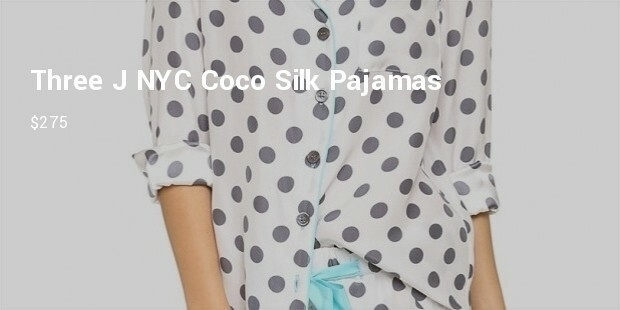 A pricy but sleepwear made with best comfortable fabric will allow you to have a good sleep. There are some most expensive sleepwears for women which you can choose to buy if ready to fetch the amount. This British brand Derek Rose has been producing sleepwear outfit since 1926 and is the leading company in the country. It has been producing most expensive sleepwear for women and their clients include Queen of England herself. These silk pajamas are made soft cotton, silk or satin; they’re created by an intricate weaving method giving a smooth feeling while wearing. Though the price tag is something that makes your eye pop but the product promises to last forever. The brand was crafted by child artists and fashion icons Mary- Kate and Ashley Olsen. Fine cuts, clean lines and fine fabrics make the product worth buying. Coming from the house of Natori, the high-end fashion designing company in New York, the company specializes in sleepwear, lingerie and ready to wear clothes. 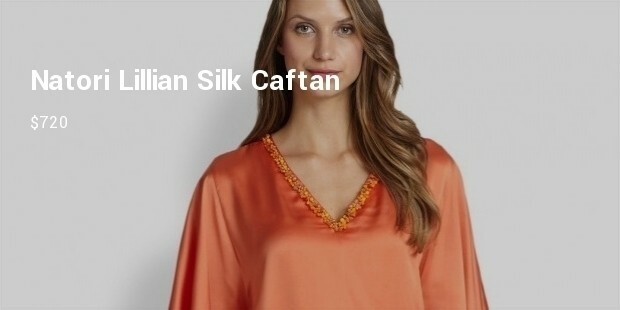 Company’s Lillian Silk Caftan cannot be only worn during night, but also can be worn during day around house. So spending $720 for this product can be a great investment. 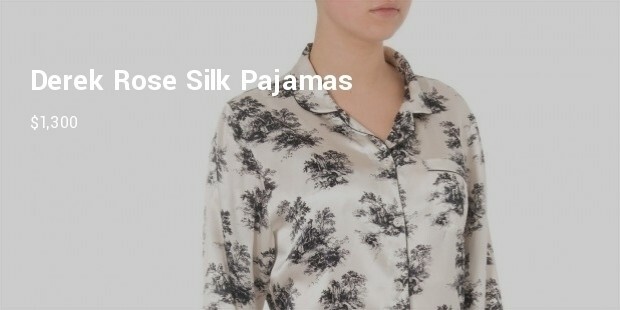 This satin sleepshirt comes from the house of Ada Masotti, the brand is known for creating attention to detail cloths. This Lace detailed Sating Sleepshirt is a handcrafted work and the price and can go as high as $574. Sleepwear gives comfort for women during sleep and if you love buying branded products, then you need to fetch some good amount on buying any of the above products.